After 20 years of campaigning for battery hens using legal means, New Zealand activists have felt a growing frustration at the lack of Government response despite the huge public outcry against battery cages. This has led to activists from all over the country taking part in a raid which they say is the first of many ‘open rescues’ in which activists will admit responsibility for illegally entering farms to rescue animals. Following the Minister of Agriculture Jim Anderton’s recent rejection of Parliament’s Regulations Review Committee’s decision that battery cages where in breach of the Animal Welfare Act 1999, the NZ Open Rescue collective was formed to highlight what the government was choosing to ignore. 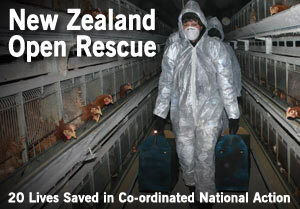 New Zealand Open Rescue is a collective of animal rights activists from cities all over the country. In the face of laws that fail the welfare of animals, activists from New Zealand Open Rescue decided to take the welfare of the animals into their own hands. "Our Government sides with industry and chooses to ignore the voice of the public about the plight of animals exploited in factory farms. We’ve given them petitions, we’ve protested, we’ve presented submissions on welfare laws. None of this has changed the fact that hens are still suffering in tiny cages. 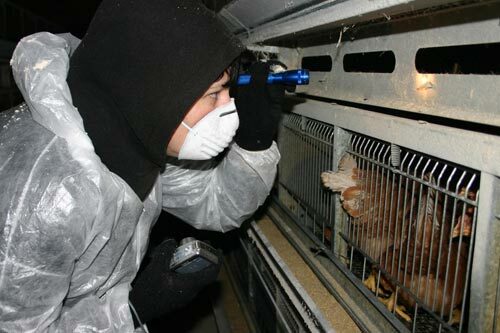 It's come down to ordinary people like ourselves to go into these farms and remove animals from cruel conditions and to draw as much attention as we can to their situation. We’re totally willing to break the law as the law does nothing to protect the animals, but simply protects the industries that abuse them," says Deirdre Sims, a member of the Open Rescue collective. The morning of Sunday 5th of November 2006 saw the dawn of New Zealand Open Rescue. 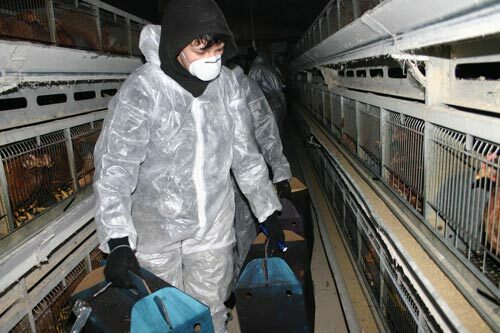 Activists from the collective entered Turk’s Poultry Farm on Purcell Street in Foxton, rescued 20 hens from cages and documented the conditions found. 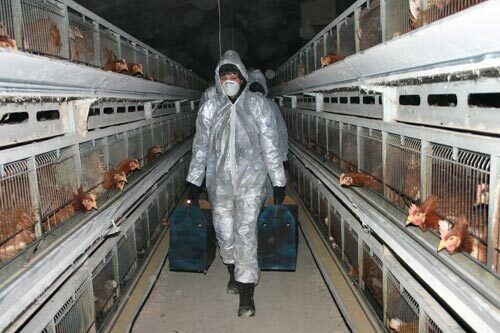 Open Rescue activists, wearing bio-masks and suits, found many dead hens still inside cages which live hens were forced to sit and stand on. The building was thick with dust, fumes and spider webs. The owner of the farm, Ron Turk, was recently fined $34,000 for dumping feathers and 16 tonnes of chicken guts onto a nearby farm. Ron Turk is a member of the Independent Egg Producer’s Co-op. "Obviously we can't save all the hens but we're going to save as many as we can and use Open Rescues to put pressure on the Government and on the industry. We're going to use direct action, civil disobedience and cause as much disruption as we can. The Government's lack of action on battery farming leaves us with no choice " says Open Rescue activist Mark Eden. The activists said more raids were being planned and arrests would not deter them. ‘I hope they do arrest me because I would love to get the farmer into a courtroom to explain why he thinks factory farmers should be exempt from the animal welfare act.’ said Mr Eden. To receive future rescue notifications enter your e-mail address below.